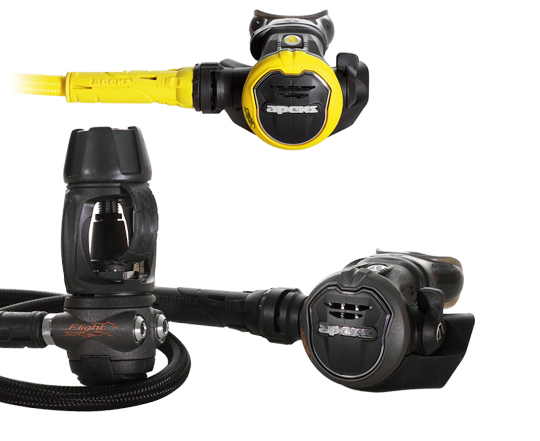 The Apeks Flight has been designed primarily for the travelling diver. Earn up to 1160 Points. 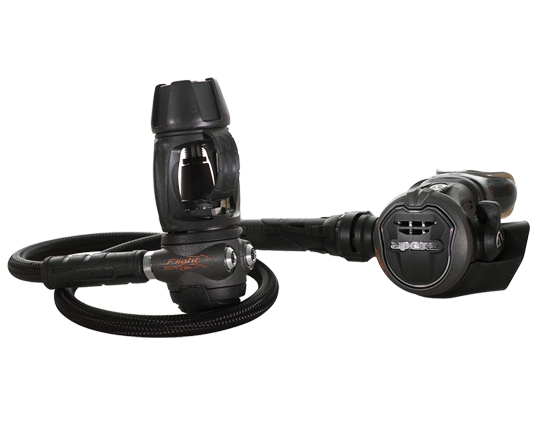 The Apeks Flight has been designed primarily for the travelling diver. Flight is lighter than any other comparable regulator made by any other manufacturer in the world. Our Design and Engineering Team have produced this revolutionary regulator using advanced composite materials selected for their optimum strength to weight ratio. They are tough, reliable and strong enough to cope with the demands and rigors of travelling. 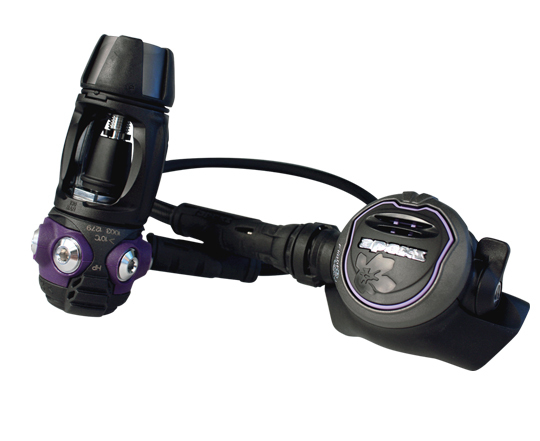 They are the most compact Apeks regulators ever made – small yet fully loaded with high performance and comfort. Includes Octopus with this set.